Canada, with its sound fiscal situation and solid economic performance is a model for the world and a safe haven in the light of recent financial turmoil. It also happens to be a great place to live. Find out why you should make Toronto, Canada your next home, and the steps you need to take to get here. Moving to a new country is a complex process with many steps. Use these useful resources to learn more about the immigration process and make your transition easier. Before entering Canada, international students must satisfy certain immigration requirements. You'll need to contact the nearest Canadian embassy, high commission or consulate as soon as you receive your offer of admission from the Rotman School. Check out this listing of Canadian offices around the world to contact for help. To qualify for an entry visa and student authorization, you'll need to show evidence of adequate funds and proof of medical clearance. You'll also need a study permit to study in Canada. Information on how and where to apply can be found at Citizenship and Immigration Canada. If your spouse or common-law partner wants to work in Canada, you can find information about the eligibility requirements, validity and application process at Studying in Canada: work permits for students. For further information regarding immigration regulations, please consult the University of Toronto's Centre for International Experience. Toronto is broadly recognized as one of the best cities in the world to live and work. And while moving to a new city (and a new country!) is a complex process, there are plenty of resources available to make your journey a smooth one. There are plenty of great places to live located close to the Rotman School. Whether your aim is to rent or buy, here are some tips on getting you started on finding your new home. The University of Toronto offers extensive support for students looking for housing, both on and off campus. Begin your search here: housing.utoronto.ca U of T's Housing Services has one of the best online housing listings in the city. Whether you are looking for temporary housing, off campus housing, or a residence placement, Housing Services can provide you with relevant current information and support. Contact them at 416-978-8045, or drop by in person at 214 College Street, 2nd Floor, on the U of T campus. If you come in August, consider temporary accommodation in one of the campus residences while you get settled and organized. You can also check the rates for hotels around Rotman, such as the Holiday Inn on Bloor at St. George, just north of Rotman: 280 Bloor St. West, 416-968-0010. Double check your papers to make sure they are in order before you land in Canada. If you’re thinking of applying for Permanent Residency, remember to bring a police clearance certificate from your home country (and the countries you’ve lived in). Carry the original and a copy of all your important documents: your passport, your driver’s license, student visa, etc. Start looking for a place to stay before you arrive. You can use the internet to find new housing, but also plan to visit your apartment, house, or condo before signing a lease to make sure it is up to your standards and in a convenient location. Give yourself time to settle in. Arrive at least a month before classes – by the middle of August at the latest – to open a bank account, find a cell phone and Internet provider, buy a metro pass for public transit, and accomplish all the many other tasks that you need to start your life in Toronto. Go easy on yourself. Moving abroad can be difficult, especially when you are also trying to manage a full-time course load, deal with financial issues, and find your way around an unfamiliar city. But with the help of your classmates and your newly-earned time management skills, you’ll land back on your feet and feel at home in no time. Don’t bother packing winter clothes. Buy them here! Unless you’re coming from a country with cold winters, your clothes may not be warm enough once January arrives. Get an idea of Toronto's weather here. Before signing a lease (or mortgage), make sure you’ve found the right location! Learn about Toronto’s diverse neighbourhoods, including the Annex, where the Rotman School is located, on Wikipedia. If you’re moving outside the Annex, check a TTC transit map to make sure you can get to class on time via local transportation. 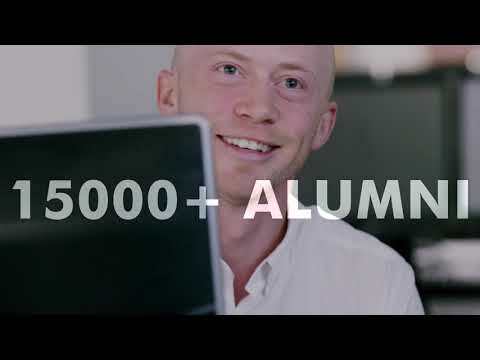 The University of Toronto’sGraduate House welcomes full-time Master's and doctoral students from across the university and its professional faculties. Located on St. George campus and minutes away from the Rotman School and Robarts library, Graduate House offers students a safe, pleasant living experience and opportunities to get involved outside the classroom. Additional rental opportunities can be found at any of the following websites: Kijiji, Craigslist, torontorentals.com, rentcanada.com, viewit.ca or rentseeker.ca. If buying is an option, visit realtor.ca to get a feel for prices, locations and availability of local housing. Consider checking local newspapers. Good rentals can be found in the classified pages of NOW Magazine and the Toronto Star. Rotman has one of the most international student bodies of any leading business school. Find out about the support available to you international students wishing to improve their English language skills. Strong communications skills are key to your success in the Rotman MFRM program. The English for Professionals program offered at the School of Graduate Studies helps you to communicate sophisticated information to sophisticated audiences. All programs are free and are offered on a drop-in basis. The Pronunciation Management Program has been designed to identify students who may benefit from assistance with their non-Canadian pronunciation in English. Students are assessed by a professional Speech Language Pathologist who determines their eligibility for further consultation. Sessions offer exercises and activities to enhance clarity of speech and prepare students to enhance their communication skills to compete in a North American business environment. The Rotman MMA is an AI-related master's program recognized by the Vector Institute as delivering a curriculum that equips its graduates with the skills and competencies sought by industry.